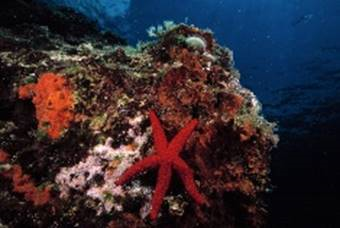 CORILA is an association of Ca' Foscari University and the University IUAV of Venice, the University of Padua, the Italy's National Research Council and the National Institute of Oceanography and Experimental Geophysic. It is overseen by the Ministry of Education, University and Research. CORILA’s interests cover all scientific aspects of the Venice lagoon system, from an interdisciplinary perspective, sub-divided into 4 main thematic areas, Economics and social aspects, Architecture and cultural heritage, Environmental processes, Data management. VERBI (VEnice Research BIbliography) is a virtual research environment that provides access to more than 300 citations, with attached articles, relating to scientific research of CORILA to safeguard Venice and its lagoon. CORILA organises widespread dissemination of the research, on thematics of economics, architecture, environment, with publications and materials of various types. DANUBIUS-PP is a three-year project to raise DANUBIUS-RI (International Centre for Advanced Studies on River-Sea Systems) to the legal, financial and technical maturity required for successful implementation and development. 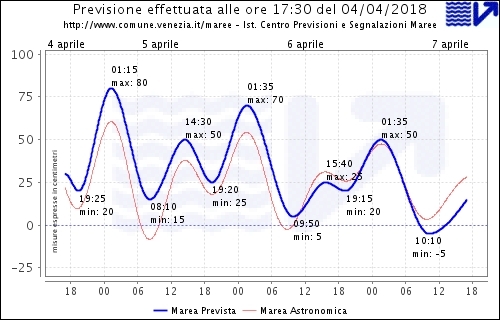 From Comune di Venezia, Reports Forecast Center and Maree, the updated estimates of the tide in Venice.